Sell house fast Brentwood, Missouri! House Sold Easy buys houses in Brentwood, MO and throughout the Metro St. Louis area. It won’t be an exaggeration for us at House Sold Easy to claim that we’d perfectly understand why some property owners in Brentwood would want to sell house fast Brentwood, after all, is our home grounds it’s where our offices are, where we’ve earned our spurs as real estate investors. Hence, our real estate investment team knows this inner-ring suburb of St. Louis like the back of their hands. House Sold Easy, in fact, is within easy walking distance to the community of Brentwood Forest where we have had experience with homeowners who were hard-pressed to sell fast. 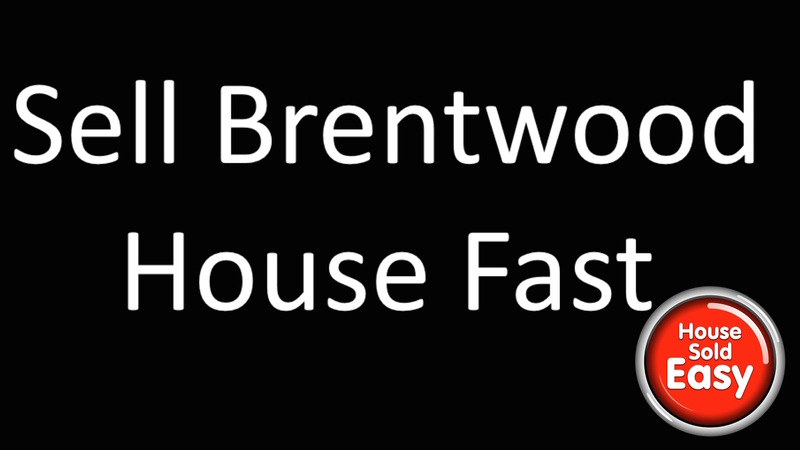 Brentwood, as our staff very well knows, isn’t immune from the various factors that could drive homeowners to sell house fast. Foreclosure issues remains a concern for many homeowners in this area, as could be seen from the significant number of Brentwood residences built immediately prior to the housing crisis. Urgent sales of outdated residences can also crop up at any given time as a sizable count of Brentwood homes were built during the 1940s and the 1950s. Having these dwellings upgraded or remodeled would often prove costly and time-consuming for their owners who are under pressure to sell house fast. Brentwood is a market that we at House Sold Easy is always ever ready to offer the best deals possible to homeowners with problematic residential properties due to loan defaults, liens or other encumbrances. The buying formula and approaches that we have devised in our over 10 years in the real estate investment business work best too for homeowners who need to sell fast because of divorce or relocation. Within the hour of a call to one of our senior buyers, we can arrange a brief tour of a residence whose owner is on pins and needles and just have to sell house fast. Brentwood, after all, is our neighborhood, and we are practically just steps away from most of its homes. Already immersed in this community for a considerable amount of time, House Sold Easy ensures that our buying offers are fair and aboveboard. As Brentwood-based real estate investors, we take it upon ourselves to protect the interest of local residents who are in stressful situations. Our senior buyers draw great personal satisfaction knowing that their skills and expertise have contributed in easing the heavy pressure, whether financial or emotional, on those who need to sell house fast. With our trustworthy solutions, House Sold Easy can close a deal within a week or two Our proven system ensures you can sell fast and that we proceed like clockwork. We waste no time in preparing all the documentation and ensuring that everything is in order with a transaction. House Sold Easy understands fully well the plight of those who need to sell house fast due to financial difficulties. Hence, we are ready to extend a cash advance once a settlement date for a sale has been set. Within a day or two of the sales contract signing, we can pay the full amount in cash. Brentwood is surely an area we won’t pass up.